Medium sized room. 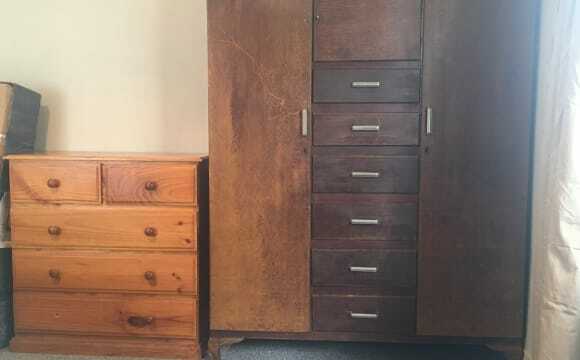 In built wardrobe, sliding doors. Shared bathroom with one other tenant. 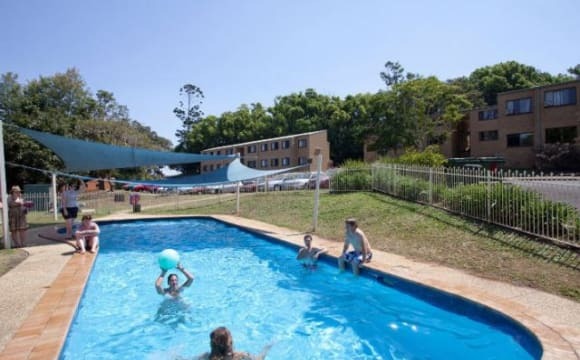 There is a large communal lounge area plus a large verandah that links the house and pool. Pool has been recently renovated. House is located on land so plenty of privacy. Property is situated in great spot between Lismore and Ballina. 3 min drive from chemist warehouse, 7mins Goonellabah shoping centre. 15min SCU and lismore square. 20min to Ballina. 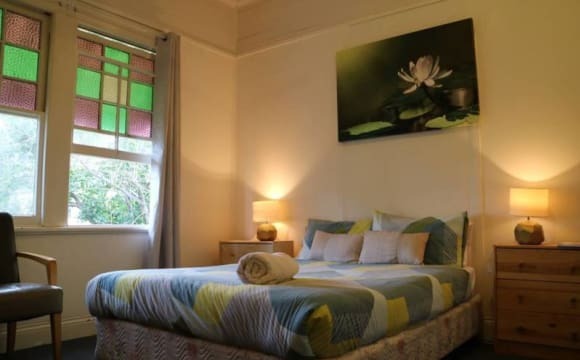 All bills, unlimited Wifi, professional cleaner, aircon in your room included in the rent! Available from April 30th. Alstonville is a really lovely place to live, we've got mountain biking, great road cycling, a heated olympic pool down the road and a waterfall close by! 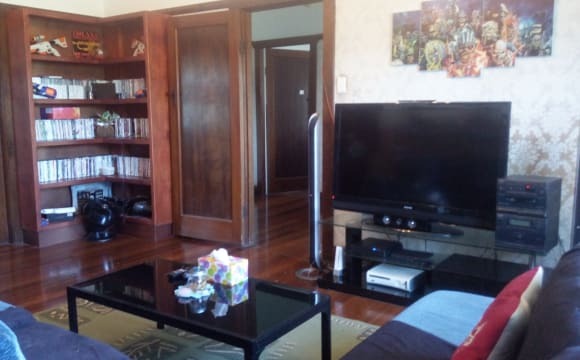 The house is super easy for everyone to live in, all the cleaning is done by our cleaner, Janene and there's heaps of spaces for people to either chill out on their own or hang out with the others. 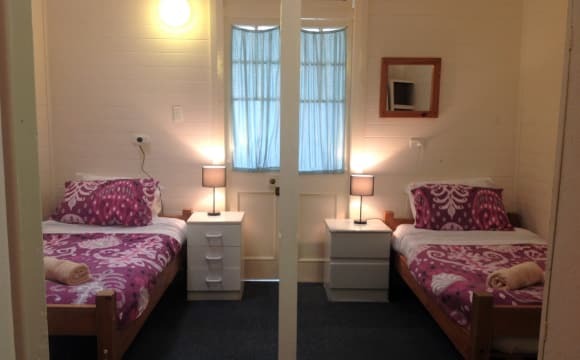 There's a bath and a fireplace to keep cosy in the winter, aircon right in your room and unlimited wifi too. 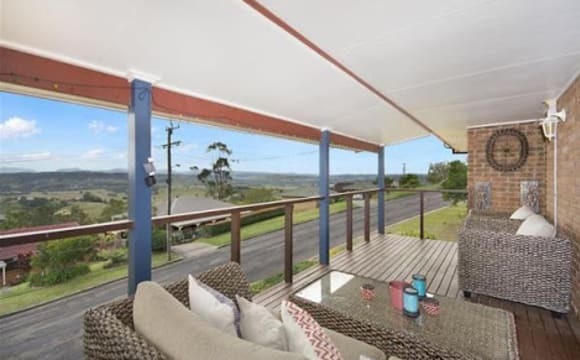 Beautiful modern 2 bedroom house, with wooden deck overlooking bushland. Large living space- clean and tidy. We are in the quiet area of Howards Grass on 5 acres with fruit trees and a creek. 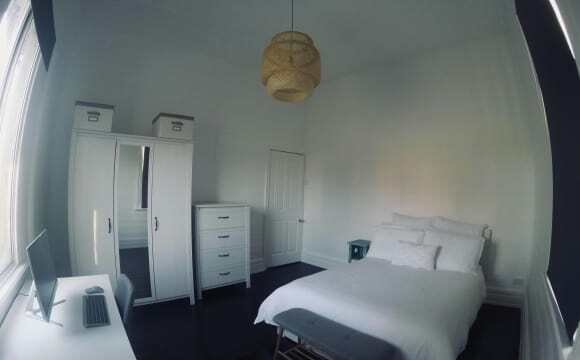 The room is unfurnished but fitted with built in cupboards. We have a smart TV and wifi in the living room, which you will share - along with the kitchen and laundry which are also communal areas. Woodland Avenue is a quiet area of Lismore, and being high is well out of the flood area. There are extensive picturesque rural views to North/East, with cooling N/E breezes in summer. A huge old Jacaranda Tree is a great hang out for many birds big and small - lovely to wake up to their morning calls. Currawongs, magpies, kookaburras as well as wrens and smaller birds. 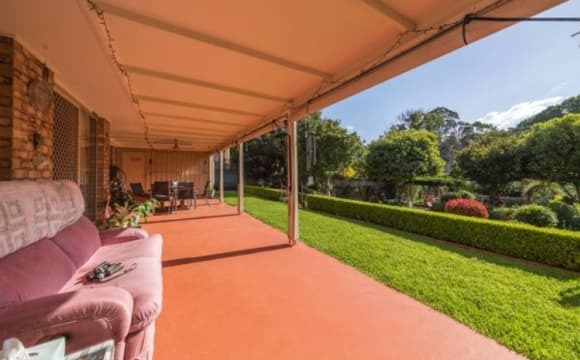 The house is set on 4.5acres 10 minutes from West Ballina, 30 minutes to Lismore. Quiet pastoral setting. Wild duck and geese waddling around in the yard. Own king size furnished bedroom. The main bathroom and separate toilet are for your exclusive use, unless there is a house guest, which happens occasionally. 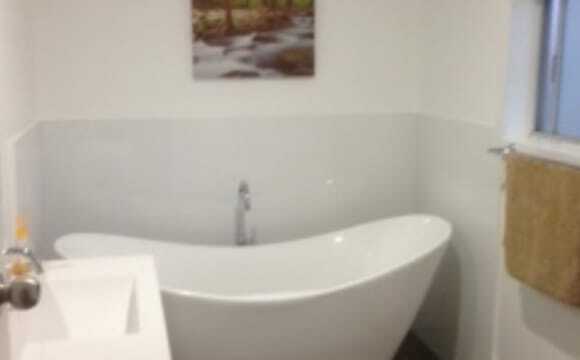 House owner has his own en suite bathroom and toilet and does not use the main bathroom. There are two chooks that provide fresh eggs. 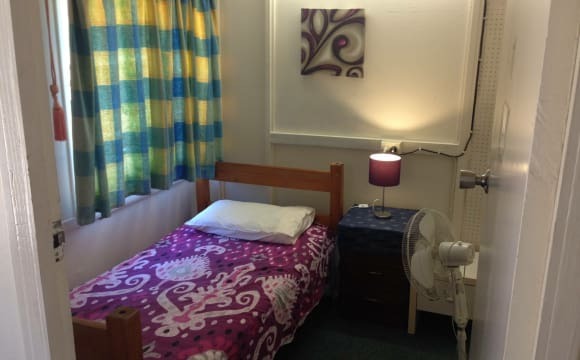 The house is conveniently located one minute walk from Base Hospital, another five to the Square shopping centre. Nicely renovated, with a great veranda facing a private garden. 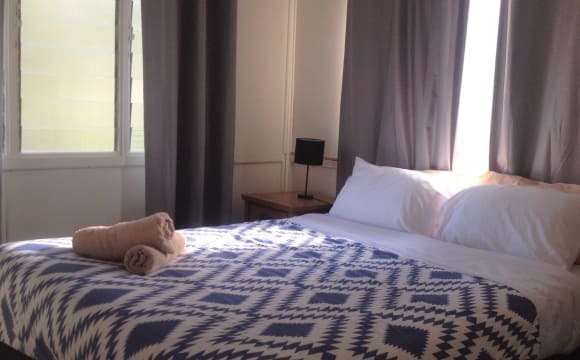 The large room will be available on May first for three months maybe more as I am going oversea. The rent has been brought down to 250 a week, but still negotiable. It ia all inclusive. The house is older style . Don’t let a few flaky bits of paint worry you .A large yard and tastefully fully furnished . Update: The property is currently tenanted until the 3rd of May 2019. Please contact me through this website to arrange an inspection leading up to May when the property will be available again. Whole property available for rent. This would be the perfect place for students or professionals to come together as it is furnished and ready to live in. The address is 31 Orion Street, Lismore. 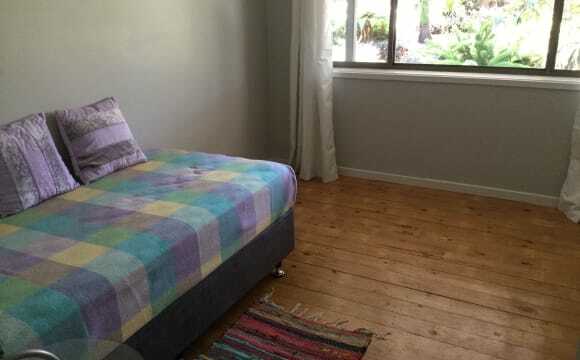 Location: The property is located in central Lismore; close to amenities, pubs and shops. The local Foodworks is 200m from the property (just a 3 minute walk), which is open everyday. Alternatively The Lismore Square shopping area is just a 10 minute walk away. There is a gym behind the house (about 50m walk). The house is also down the road from Mary G's pub which has various events. The house is on a one-way residential road with beautiful church views from the front and tree views from the back. 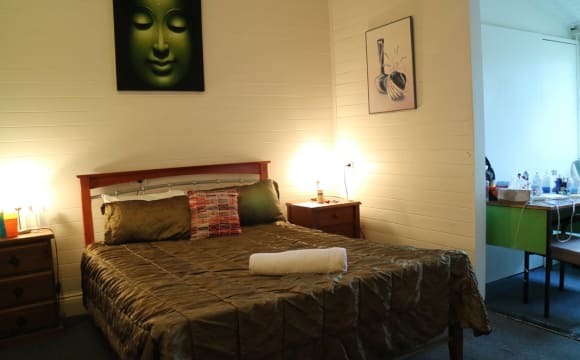 For students: 7 minute drive to Southern Cross University, 30 minutes by public transport (catch the bus from the square), or 35-40 minute walk. Bathroom features a shower, separate toilet, washing machine and two mirrored areas to reduce traffic. 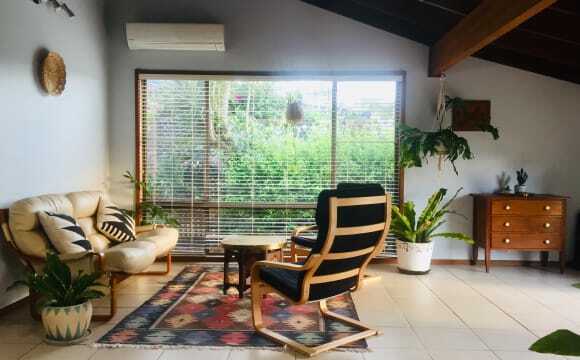 Brand new 5kw air conditioner in the main living area which cools and heats the house. Brand new 55" TV wall mounted in the living room. Safety: In addition to the front and back door locking... two internal doors can also be locked from the inside only for extra security. 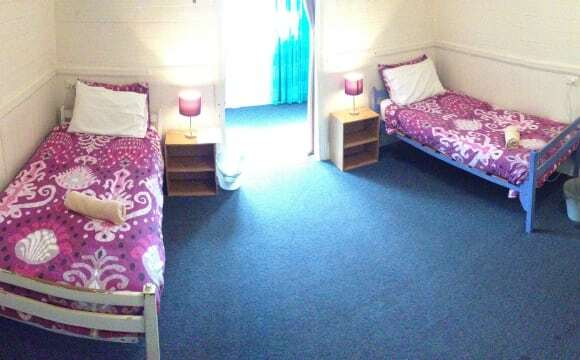 Each bedroom is also lockable with your own key. Storage: The house features an under-storage lockable area for any bulky items or boxes you do not wish to store in your room. Strictly no smokers, drug users or pets. This property is only available to be rented as a whole, therefore it would be your responsibility to form a group and sign a lease together if you cannot afford $475 per week + bills as an individual.